How much money should I set aside for closing costs? As part of the closing costs, you need to retain a lawyer who will ensure that when you take possession of your home it will be free and clear of any liens or encumbrances. **Lawyer Fees will typically range from $1,000 – $1,300 which includes disbursements (actual charges lawyers incur in their searches which they charge back to their clients). Their is also Land Transfer Tax which is due on closing. This is a tax levied by the Ontario Government. Legal fees and Land Transfer Tax are the two major closing costs. A purchaser in addition to the above costs should have a safety net for the mortgage application fee, provincial sales tax on the CMHC premium, property tax adjustments and moving costs. 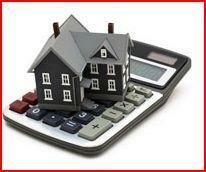 As a general rule of thumb, it is suggested that 1.5% – 2.0% of purchase price of home be kept aside for closing costs.